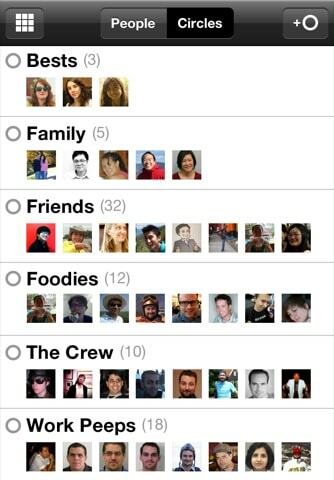 What’s the new iphone application that might give Facebook, Twitter, and Bebo a run for its money? Google Plus app (G+ app). That’s right, Google Plus app. If you own an iPad/iPhone/iPod Touch or know someone who’s crazy for keeping up to date on their precious Apple devices, you’ve likely heard of it but may be confused on what it necessarily is. No, it’s not a super-advanced search engine. It’s the latest thing in social networking, and for users over 18. But, wait a second! There is no officially released Google Plus iPad app, this google + app is currently optimized for:iPhone 3G, iPhone 3GS, and iPhone 4. Requires iOS 4.0 or later (Download directly here on itunes app store if your device already compatible). How to enable Google Plus iPad App? What’s an iPad and ipod touch fan to do to enable this new google plus app on their ipad and ipod touch?, and how can one enjoy the inevitably popular new network, whose amount of users has already skyrocketed to over 20 million within a few weeks? The official Google Plus iPad app may not be in existence yet as released by Google, but there are ways you may utilize the Google+ iPhone application on your iPad and still experience the craze of ”circles” and ”hangouts” everyone’s been babbling about. To finally be able to utilize that mysterious new +1 button next to Facebook’s “Like” button on Internet posts on your iPad, you must start with the device itself (being jailbroken is not required for the following method), an iPhone Configuration Utility (this is a free, safe Apple download that will allow you to utilize applications that have not yet been approved from the company itself), and your own personal computer free for utilization and that performs well enough to download applications meant for iOS products. The first step to obtaining your own Google Plus iPad app would be to open iTunes on your personal computer- if you do not have iTunes currently, it is necessary to obtain it on your computer as a free download that is also provided by Apple. The free Google+ app will be avaliable for iTunes download. Next, you must open your Utility tool whilst your device is plugged into the computer. From the menu, pick your iPad device that you would like to add the Google Plus iPad app to, and hit the Add+ button found in the iTunes tab called ‘Applications‘. On your computer, a browser window should be visible that gives you the capability you to check out G+. iTunes ‘Show In…’ option should allow you to complete this action. Finally, upon visiting your Configuration Utility, G+ should now be visible. With this, you may select the Apps tab and choose the ‘Install‘ option. From there, you are now free to enjoy your own Google Plus iPad app! And check out to some list of free apps for ipad if you want to fill your iPad tablet with some cool ipad apps and games.